Joshua Dysart on Air America!! Los Angeles based Air America affiliate KTLK 1150 AM Progressive Talk Radio has decided, in their infinite wisdom, to interview me, Joshua Dysart. I’ll be a guest on the Activism A Go Go segment of the Harrison on the Edge show. A live stream of it can be found at the link above. Harrison on the Edge airs from 10:00 pm – 1:00 am Thursday night. Unfortunately they’re not sure when my segment will run. It will be repeated Friday night. 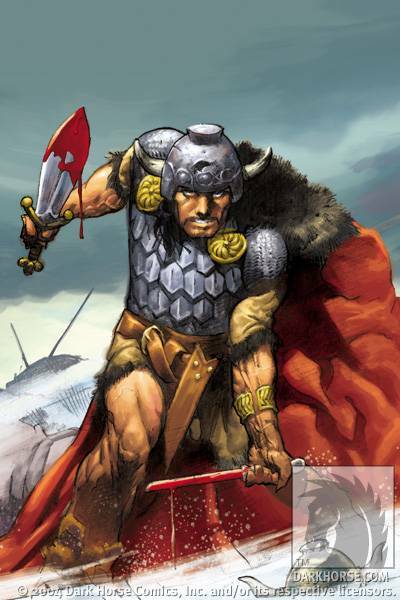 Video of Joshua Dysart Talking Conan Trash at SDCC06! A video of me and my intrepid editor, Scott Allie, rapping about the new series CONAN AND THE MIDNIGHT GOD at San Diego Comic Con. I say, “What’s interesting to me,” a lot. Other than that, I don’t screw up too bad. 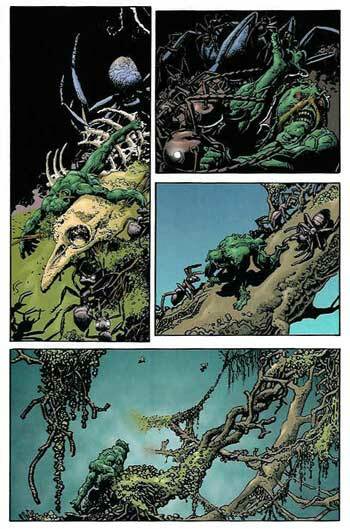 Noted comics journalist and long time supporter of my Swamp Thing run, Bill Baker, has done a solid interview with me regarding the end of my personal saga with the big plant man. Check it out if you’re so inclined. Here’s the link. A page from Richard Corben’s amazingly realized issue of my Swamp Thing run. Here’s Bill’s most recent interview. Here’s his regular column on the BOOKSLUT website. 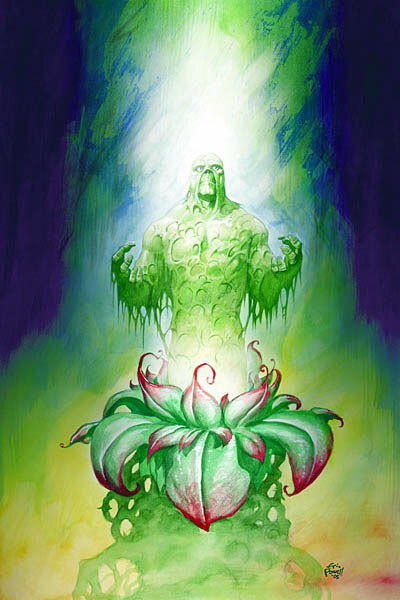 Eric Powell’s awesome cover to Swamp Thing #23.